Chubby Actress of South India, Nitya Menon has finally opened up on her weight in a recent interview and said she is all set to shed few kilos for a sports based entertainer. This film will be released in Telugu, Malayalam, Tamil and Hindi versions too. 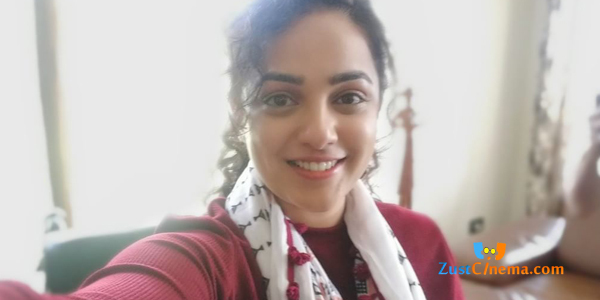 Coming to the details, Nitya Menon has given her nod for a new movie in the direction of Shaheed Kader and this will be made in Malayalam. She will be seen sporting Athlete role in this flick which throws light on women national level athlete and her ups and downs in the career. Nithya Menon has outspoke about her weight in the recent interview as "I know that my weight gets talked about a lot, and l’m sure with this film, I am going to surprise a lot of people. In fact, I didn’t even expect such a character to come my way, but the makers are eager to have my onboard. I am going to train hard for the role and start shooting soon for it."